Hair extensions are all the rage. From Hollywood red carpets to prom, having long hair extensions for a special event can be a great alternative to growing your hair out. 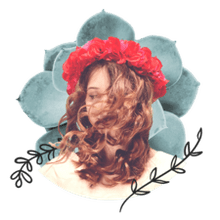 Not everyone wants to spend the time or money to have them professionally glued or sewed in, so temporary clip-in extensions are a great alternative. But how do you get them to look professional, natural, and stay in your hair? Keep Reading! Who is a good candidate for do-it-yourself hair extensions? Your natural hair should be shoulder length or longer for at home extensions. Shorter hair requires additional preparation that should be left to a professional. Your natural hair should be medium to thick in texture. Thin or fine hair will require additional preparation to hide the tracks and make the extensions appear natural. 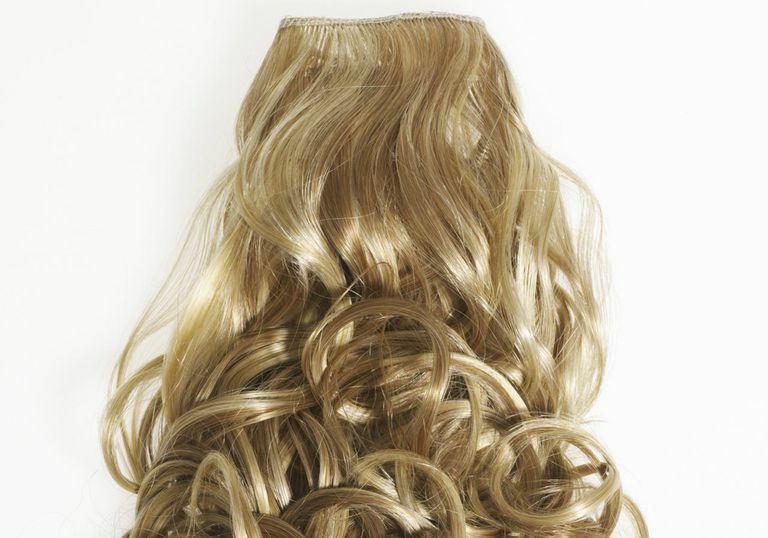 How do you purchase clip in hair extensions? For this demonstration, I purchased a 6-foot weft of hair from Sally Beauty Supply. I then cut the weft to fit the model, Brooke's, head and sewed the pieces to clips. Sally's sells all the supplies needed to do this, or you can purchase a hair extension system that already has the clips attached to wefts ready to place in your hair. I chose a color that closely matched my Brooke's darkest hair color. It's important to note that the color does not have to match exactly. Your natural hair color will blend with the extensions. A representative at the store can help you choose a color that will compliment your natural color. I highly recommend standing in natural light when choosing a color, as artificial light can alter the color of the hair extensions. Natural or artificial hair can be chosen for the extensions. Natural hair can be washed and curled like your hair, while artificial hair cannot be touched by heat. Do I have to cut the hair extensions? After you purchase the hair extensions, they will need to be prepped. Because I purchased a 6-foot long weft of hair all at one length I had to place the extensions in Brooke's hair while they were straight and cut the hair to blend with her natural hair. Because of this additional step, if you wish to do hair extensions completely at home, I recommend that you purchase extensions that are already cut and placed on clips. A professional hair stylist can cut them for you if you need them to blend better. How do I curl the hair extensions? It's important to curl the extension hair prior to placing the extensions in your hair. I do not recommend wearing straight hair extensions when you do it yourself. It's very difficult to get the hair extensions to look natural when they are straight. Curling the extensions will help them blend. I prepped the hair extensions for Brooke's hair with a curling iron. You can also use hot rollers, velcro rollers, or magnetic rollers. If you use rollers that do not use heat, allow 3-8 hours for the hair to completely dry around the rollers. I usually let rolled hair sit overnight for drying. You can also speed drying with a hair drier. Remember, you can not use heat on artificial hair! How do I prep my natural hair? The first step is to wash and condition your natural hair and apply a mousse or gel that will help your hair hold a curl and reduce frizz. For Brooke's hair extensions, I set her natural hair on velcro rollers. I chose this method because the hair will stay curled for a longer period of time when setting in this manner. Curling iron or hot rollers can also be used after blowing your natural hair dry. How do I use velcro rollers? If you choose to use velcro or magnetic rollers you'll need to section damp hair into sections that are approximately the same length and width as each roller. Comb the section very straight and smooth and straight out at a 90-degree angle. Then, carefully place the roller at the end of the hair section, and, making sure to tuck the ends under neatly, roll the roller toward the scalp. Velcro rollers will stick without the use of a clip to secure the roller. If you use velcro or magnetic rollers, you will then have to dry the hair completely before removing the rollers. If you air dry your hair on the rollers, it will likely take several hours. A hair drier or hood drier can also be used to speed drying time. Hot rollers can be placed in a similar fashion but on dry hair. If you use hot rollers, let them set in the hair for a minimum of 20 minutes to ensure that they cool completely before taking them out. What do I do when the rollers come out? Next, you'll want to remove the rollers and comb the hair out. A wide tooth comb, a pick, or even your fingers can be used to ensure that you do not comb all the curl out. You'll want to make sure that all the roller marks are removed from the hair and that the curl looks soft and natural. I typically use a light anti-frizz serum on the hair at this point to ensure shine and manageability. A small dab of serum emulsified in the palm of your hand and worked through the ends should be enough. A light hairspray can be used at this time to make sure that your curls are secure. How do I make sure the tracks stay in place? First, clip all the hair up, leaving a 1/2-inch to 1-inch section across the nape of the neck, as shown in the photo below. Then, using a small toothed comb, ​backcomb (tease) the hair right at the scalp. This will create a "cushion" for the hair extension clip to be secured into. If you have a hard time creating this cushion, apply medium to hard hold hairspray on the area and tease again. It's important that you have a bit of a "rat's nest" right at your scalp. This step may take some practice to get just right. Clip the track in place. How far apart should each track be? How do I style the hair after the extensions are placed? After the tracks are all placed, you will need to style the hair so it blends together. Using a large pick, I gently combed through Brooke's hair to ensure that the extensions blended seamlessly with her natural hair. A little ​backcombing in the crown of her head gave her some height and fullness. To finish off her style, I used a few bobby pins to secure the sides of her hair back off her face. It's important to practice placing your hair extensions prior to any event. It may take a few times to get it right. It also doesn't hurt to have a friend help you out! What if I just can't get it right? If you purchase extensions and just can't get them placed right, don't worry. It's not always easy to make them look nice on your own. Call your hair stylist and ask her if she would be willing to place your hair extensions and style your hair for your special event. Let her know that you have your own extensions and that you need them clipped in and styled.